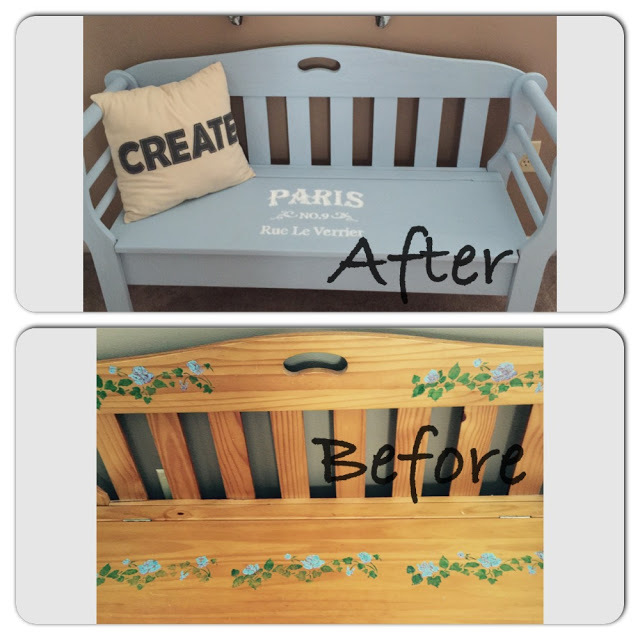 I have guest poster Michelle here sharing Five Amazing Furniture Transformations with Chalk Paint! Check out her blog to see more details and projects! Hi! My name is Michelle and I blog over at Our Crafty Mom. Please stop by and say Hi. I love to meet new people! On my blog, I post about DIY projects, home decor, decorating and of course, crafts! I have a cottage farmhouse style that has definitely evolved over the years. 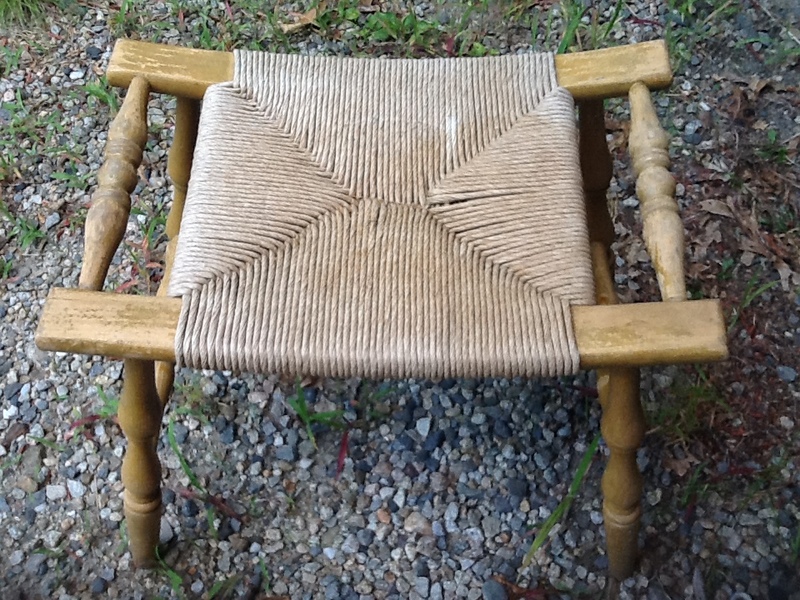 I love to take thrift store finds and give them new life! Thank you so much, Amanda, for having me visit with you today! I’m excited to be here! 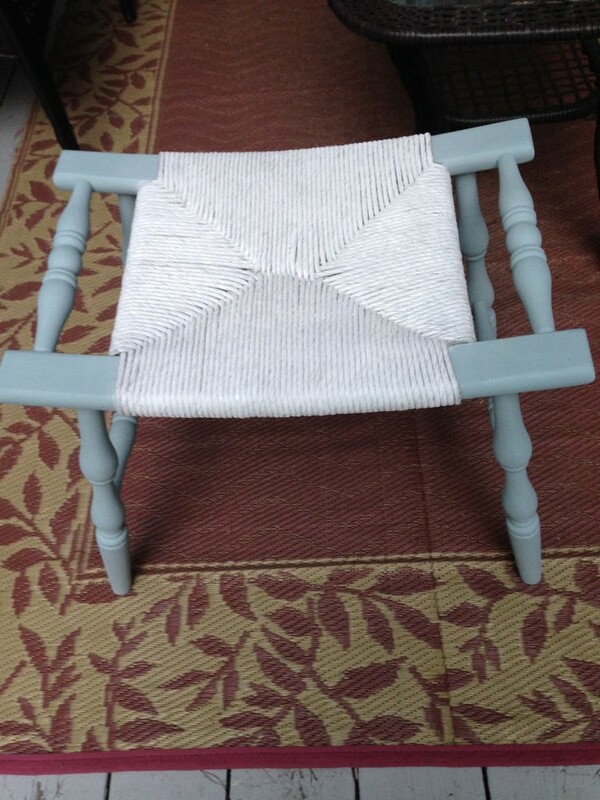 For this post, I will be sharing 5 updated furniture projects using chalk paint. 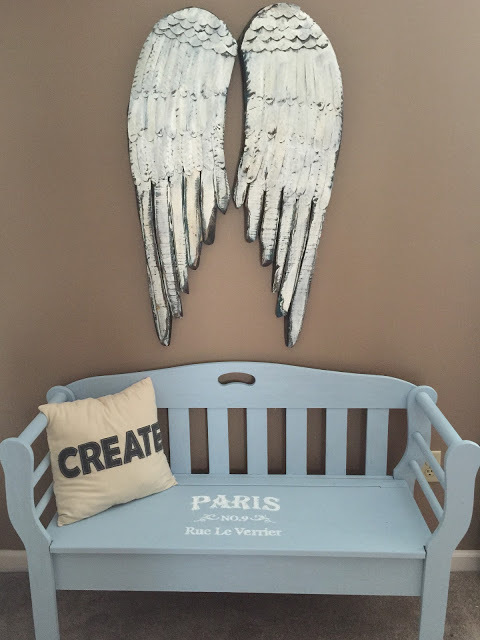 I have been using chalk paint for several years now and just love it! One of the main reasons is, I am impatient and love the fact that you don’t need to use primer with chalk paint. 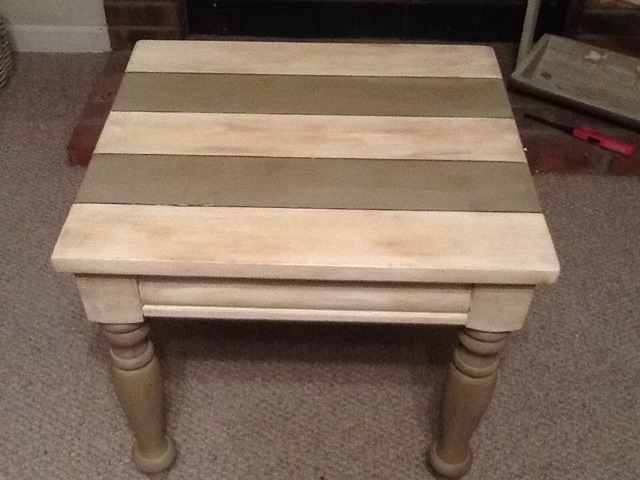 Also, it is very forgiving-you really can’t make a mistake with chalk paint, especially if you are going with an aged look and are sanding it. While out thrifting, I found this table for $10! It was solid, had cool legs and when I saw it I immediately wanted to paint it in stripes. Luckily I just received some sample sizes of Annie Sloan in Old White and Chateau Grey. The Chateau Grey has green tones, which I just love-it is very neutral. Unfortunately, I don’t have a before picture of this next project, but it was light oak. 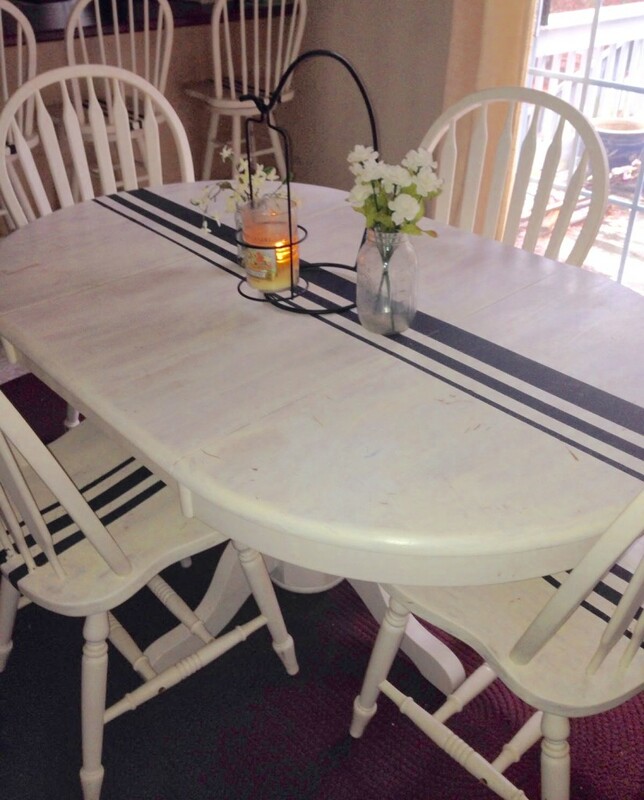 I used Annie Sloan Old White and wanted to step it up a notch with a grain sack stripe. I just taped off the stripes I wanted using frog tape . I did the table, 4 chairs & 3 bar stools. I used Americana chalk paint in serene and this is my new favorite color! Serene is the perfect name for it. I have been wanting to update this beautiful deacon’s bench that I have had for about 15 years. I just felt the stenciling was outdated and didn’t really go in my new bedroom. I decided to use the color Serene that I used above. However, rather than leave it as is, I decided to add this great Paris stencil in white chalk paint. The before & after is really amazing. Very inexpensive, easy way to update pieces! 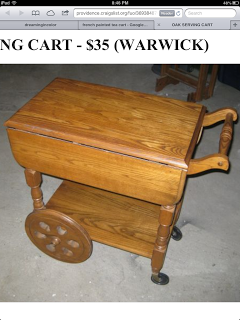 I love old tea carts and found this one on Craigslist. It was a little worn on top, but nothing paint couldn’t fix! I ended up paying $20 for it, which was a steal! 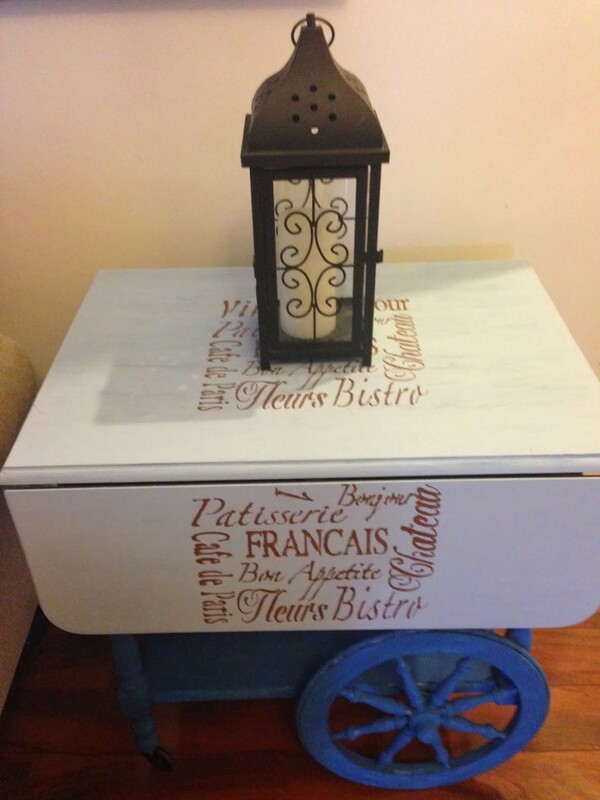 I used two different colors for this tea cart, Serene and Legacy . 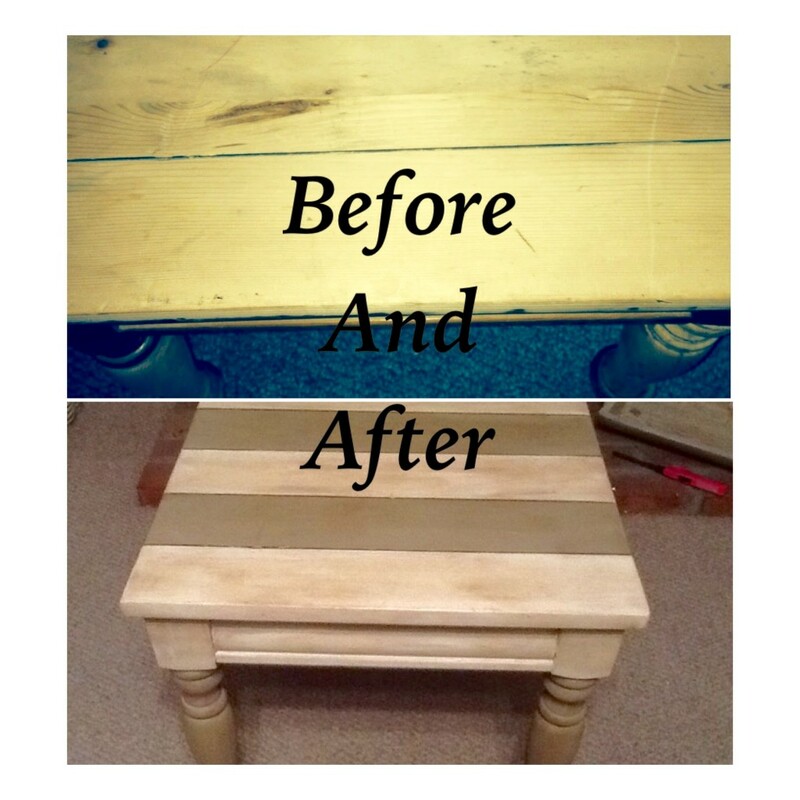 The next time you see those curbside tables or thrift store finds, think about what a little paint can do! 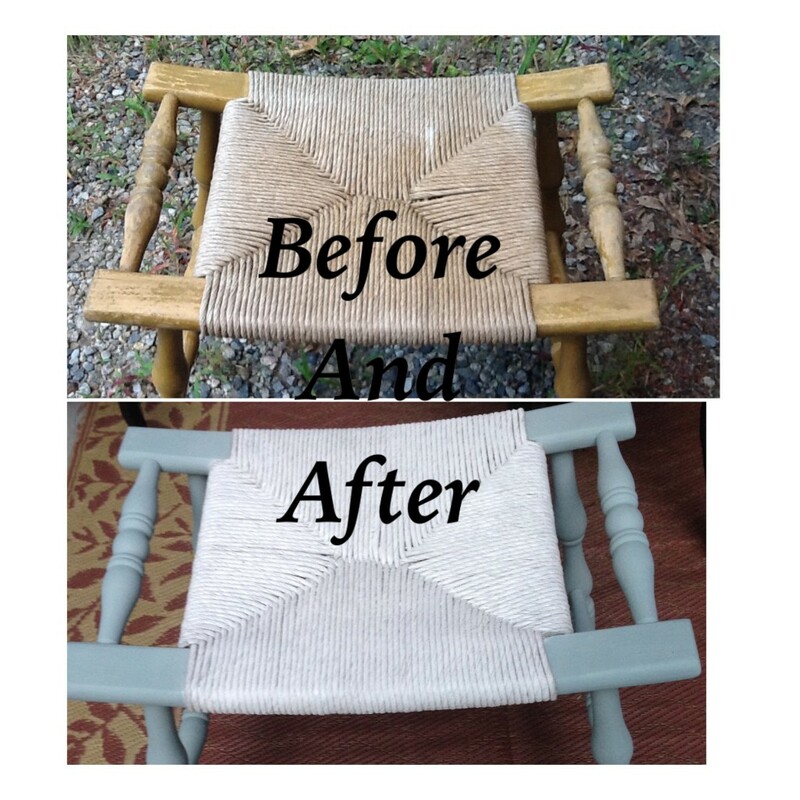 I would love if you would visit Our Crafty Mom for more thrifty makeovers! Thanks again Amanda! How to Distress A Table, No Sanding Required!